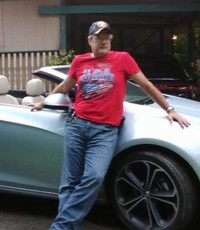 I am single, never married, not much to tell, I am a car guy looking for a car girl, prefer attractive young woman who wants a loyal , dedicated , loving relationship. At this point I am 12 years away from retirement, so goals are to finish the car/truck projects I have and get ready to retire. When retired I plan to do car cruises every weekend, and go fishing until I'm sick of it. I really don't watch TV nuch, never enough to have any set shows.